Mangroves. 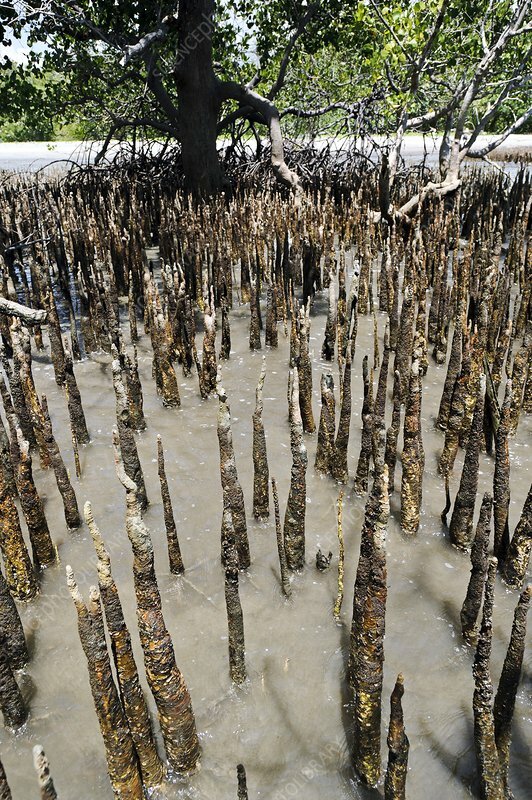 View over the roots of mangrove (Rhizophora sp.) trees in a swamp. Photographed in Sausu Peore, Central Sulawesi, Sulawesi, Indonesia.